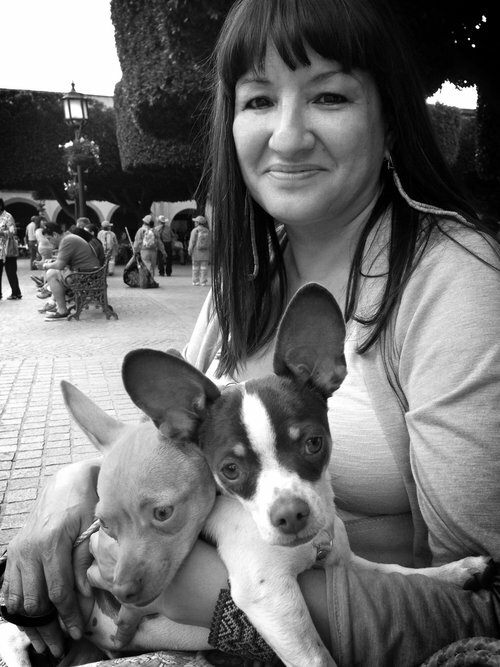 Sandra Cisnernos, author of Puro Amor, will be reading at the Texas book Festival. Sandra Cisneros was born in Chicago in 1954, the third child and only daughter in a family of seven children. She studied at Loyola University of Chicago (B.A. English, 1976) and the University of Iowa (M.F.A. Creative Writing, 1978). She's worked as a teacher and counselor to high-school dropouts, as an artist-in-the-schools where she taught creative writing at every level except first grade and pre-school, a college recruiter, an arts administrator, and as a visiting writer at a number of universities including the University of California, Berkeley, and the University of Michigan, Ann Arbor. And, she was a Writer-in-Residence at Our Lady of the Lake University in San Antonio. Her books include a chapbook of poetry, Bad Boys (Mango Press, 1980); two full-length poetry books, My Wicked Wicked Ways (Third Woman Press, 1987; Random House, 1992) and Loose Woman (Alfred A. Knopf, 1994); a collection of stories, Woman Hollering Creek and Other Stories (Random House, 1991); a children's book, Hairs/Pelitos (Alfred A. Knopf, 1994); the novels The House on Mango Street (Vintage, 1991) and Caramelo (Knopf, 2002), and the picture book Have You Seen Marie? (Knopf 2012).